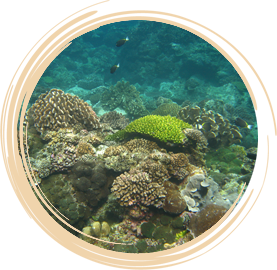 Reefs provide a foundation for many plants and animals, supporting a diverse range of marine organisms, which rely on the reef for food, protection, shelter and a place to reproduce. Reefs create a natural buffer or barrier against strong winds and waves that would normally erode coastlines and affect coastal communities and infrastructure, such as ports and boat moorings, canals and marina developments. They also act as ‘carbon sinks’, locking up the greenhouse gas carbon dioxide in the form of calcium carbonate and assist with nutrient recycling and nitrogen fixing, essential for life. Investigating the reef structures along our coast will give you an indication of the type of marine life you can expect to find washed up on the beach. Plants and animals are found in places where they are best adapted to survive. coral reefs (generally found in tropical climates).